Most companies who offer reverse mortgages simply broker or sell your loan to one or two of the large wholesalers. Most companies offer similar products and programs. You should be looking for a reputable company who you can trust to give you professional advice on whether or not you are a good candidate for a reverse mortgage…not just whether or not you qualify. A reverse mortgage is an excellent program, but it's not right for everyone. 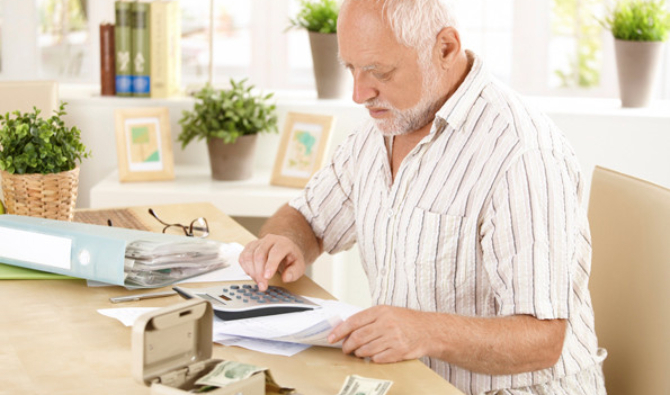 Senior man busy doing calculation, counting money and bills at home, sitting at desk. We will provide you with a free, no-obligation personalized Suitability Report that will help you determine not only if you qualify for a reverse mortgage...but if a reverse mortgage is a good option for you. East Coast Capital is an organization of honest, ethical, knowledgeable professionals who will give you the straight answers. Reverse Mortgages are our business. To all my clients, friends, and professionals, have a good weekend and have a happy Fourth of July next week. 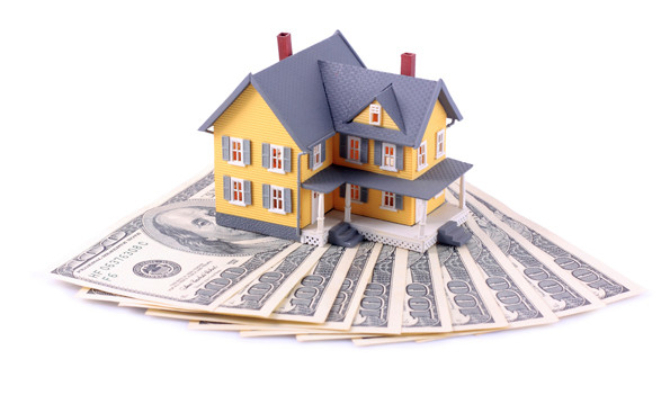 For information on Reverse Mortgages call Senior Funding Group (352) 561-3096. As people approach retirement, they often think of many things. One of those is whether or not to sell their home when the market is booming. These Baby Boomers might be considering many aspects of retirement, but one thing that commonly gets overlooked, though, is the simple fact that home care may be necessary. There are several types of care an elderly person could rely upon as they get older, depending on their specific needs and other health concerns. One of them is home care. What far too many seniors don’t consider, though, is the prospect of requiring extra assistance at home in the form of a professional and experienced home care aide or other providers, including home healthcare. As minimum wage fights, Department of Labor rule changes, and more continue to take effect, it’s impacting the in home care industry and that will also likely increase the cost of in home care, especially for those who will be able to pay for it themselves (as opposed to relying on Medicaid or other government funded programs). The elderly and those approaching retirement age may benefit from more information with regard to long-term care costs. Even short-term care, such as support following a medical emergency, can be significant, depending on the individual and his or her specific needs. Those costs have the potential to impact retirement, savings, and their ability to enjoy life to the fullest. By considering the cost of long or short-term in home care as a factor of retirement may provide a better sound financial foundation for those reaching that age. Selling a home, considering a reverse mortgage, taking out an insurance policy specifically tailored for in home care, and learning about available resources throughout the community can go a long way toward a stronger foundation. 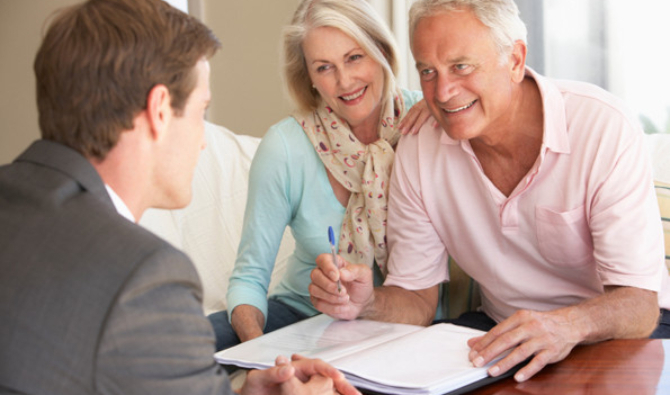 Clients need guidance with their largest financial asset, which is typically their home. The financial firepower embedded in home equity is too large to ignore, especially with many mid-market and mass-affluent clients facing long retirements and uncertain futures. Housing exerts an outsized influence on both sides of the balance sheet. Consider expenses and liabilities. Although much ink is spilled describing the shockingly high health care costs during retirement, housing represents the largest retirement expense by far. Total housing expenses accounts for 37% of total income for adults over 75, according to the annual Consumer Expenditure Survey compiled by the Bureau of Labor Statistics. On the asset side of the balance sheet, housing also dominates. On average, the value of housing equity is about 35% higher than the total value of all financial assets such as savings, brokerage accounts and retirement accounts. Here are two ways to help clients manage their unique housing asset. The paid-off mortgage trap. Many clients think that they should pay off their mortgage before they retire. This is fine if they have adequate financial assets. But it isn’t for everyone, not if paying off the mortgage crimps cash flow, leaving a client without adequate liquidity for emergencies, repairs, health events and other expenses. This is especially true in this era of historically low mortgage rates when the cost of borrowing is so low. Advisers can help some clients by modeling cash flow, showing them how carrying a mortgage can be offset by preserving more investment principal while simultaneously keeping some financial liquidity. Getting the equity back out. On the flip side, once equity is in the house, it is important to keep abreast of the options to take equity back out if needed, most commonly with either home equity lines of credit or reverse mortgages. Reverse mortgages, in particular, continue to evolve and are gaining more acceptance as prudent strategies for the right clients. They now offer greater safety via federal insurance and pre-screening of applicants. Reverse mortgages also benefit from current low interest rates, since lower interest payments mean higher potential payouts to borrowers. Helping clients manage the sometimes underappreciated asset in home equity should definitely be part of an adviser’s retirement planning toolkit. For more information on reverse mortgages contact iReverse Home Loans, (352) 561-3096, in The Villages, Florida. Florida is often thought of as the prime retirement or vacation destination for seniors. One of the key reasons for that has to do with the warm weather, especially during winter. Certain parts of the state are also considered laid back, Boca Raton being one of the them. Now a new home health care agency has set up shop and it’s expected to be highly beneficial for seniors who require some extra care and want to remain within the comfort of their home. JFS at Home is hoping that they’ll be able to make the decision about home care services easier for those seniors who may be facing some difficult challenges on their own. According to some studiesregarding the topic, it appears that when seniors are able to remain at home, even when dealing with some difficult challenges, such as physical or health related, it reduces stress and anxiety, thus helping promote a better atmosphere for them. Florida has the highest percentage of seniors of any state in the country, and their population of seniors, based on percentage of the overall population, is expected to double by 2030. That means there’s going to be an increase in demand of in home care services, both of the support and health kind. For many seniors, medical care at home may be necessary following surgery, a medical emergency, or other situation. By receiving it at home, not only will this help to save money, but it will also provide a more comfortable environment in which to recover. That can certainly be a win-win for all. While it’s no surprise that home care is one of the most affordable options for seniors and disabled adults, there is a major discrepancy between what people know about it and what they think they know. In fact, according to a Genworth 2016 Cost of Care Study, it was determined that most Americans underestimate the cost of long-term in home care by nearly 50 percent. That may not seem like a significant issue for some, but when savings are considered thin and the economy teetering on the edge of another recession, it could have some serious implications, so much so that some may be overwhelmed by the cost or feel that there’s no other options for an aging loved on aside from nursing home or other government funded care. The Genworth study also discovered that 80 percent, or four out of five, adults in the U.S. underestimate what it would cost for some type of basic home health care. However, at the same time, it’s also the preferred option with regard to long-term care, especially in comparison to nursing homes or other similar options. There are some theories as to how this has happened and one has to do with a lack of any direct experience people generally have with home care. When someone doesn’t require home care, either for themselves or a loved one, such as an aging parent, they have little need to understand options or costs. Another theory revolves around the idea that since in-home care providers are considered highly underpaid (as portrayed through media), it’s assumed that the cost of this level of care is generally low. The study also determined that women are more likely to be the ones who underestimate the cost of in-home care, even though they comprise 80 percent of the care providers or family members who find the right level of care and support for a loved one. If people underestimate the cost of long-term home care, they are more likely to be unprepared for it in the event that they or someone else in their family requires significant long-term care in the future. For years now, home care has been a more affordable option than any other type of senior care. Compared to nursing home care and assisted living, for example, depending on the state, the cost can be a quarter or less than nursing homes and less than half that of assisted living. As the Baby Boomer generations closes in on retirement age, there is expected to be an increased demand for these types of support systems for growing numbers of seniors. As men and women live longer than ever, they also often face increased health risks, physical limitations, and other challenges. Some of these seniors may require a minimal level of care and support at home while others might demand full-time, around the clock care from home care aides, visiting nurses, and other medical professionals. Home health care can encompass many aspects of care and support, including the aforementioned visiting nurses, physical therapy, occupational therapy, and home care aides. Home care aides are ideally suited to provide lower cost support and care for seniors and disabled adults. They don’t require medical training and, depending on the agency or other home care provider, they may not require any prior experience, but their physical and emotional support for these seniors is often immeasurable. Each person is different and there is no such thing as a one-size-fits-all approach to home care services. With regard to nursing home care and other options, seniors who may only require minimal care could find themselves in an uncomfortable environment that is far more costly than if they remained home, perhaps in a home they’d lived for many years. More and more seniors are realizing the value of home care support for basic assistance and even companionship, and with private financial sources, they can be relied upon for anything the elderly client may need. It can be ideal for helping the senior get out of bed, to go to the store, or even assistance preparing breakfast, for example. The cost factor of home care continues to make it a far better option, according to many, than any other type of elderly care. Financial fads run hot and cold among advisors and planners, but interest in home equity conversion mortgages (HECMs, or reverse mortgages) , which allow people over age 62 to tap their home equity without leaving their homes, continues to be lukewarm. That’s not for lack of promotion by thought-leaders in the planning world, like Harold Evensky, Barry Sacks and Wade Pfau. All have published persuasive articles in the Journal of Financial Planning that portray HECM lines of credit as a no-brainer income-generating tool for retirees-even for those in the “green zone”, with plenty of savings. If a tipping point in favor of HECMs is ever going to arrive, the time is now. The low interest-rate environment, which reduces annuity payouts, raises HECM loan amounts. Collectively, Boomers have trillions of dollars in home equity. And, as Pfau has suggested, a “loophole” in the HECM rules that currently favors HECM lines of credit (HECM-LOCs) may not stay open forever. RIJ is agnostic on the advisability of using reverse mortgages. But it seems clear that fiduciary-minded advisors or planners who practice “life-cycle” planning, and even those who don’t, should consider every asset on “household balance sheet” when looking for sources of retirement income. And that includes home equity. In this fifth installment of our series on HECMs, we review three HECM strategies that are tailer-made to entice advisors: the HECM-for-purchase, the “standby” HECM-LOC to supply cash after a year of negative returns, and the HECM-LOC created at age 62 but tapped only if all other sources are exhausted. We’re used to thinking about reverse mortgages as a tool to help older Americans “age in place”, but since 2009 the Department of Housing and Urban Development has allowed people to finance the purchase of new FHA-approved home or condo – not a vacation home or assisted-living unit, however – with the help of a reverse mortgage. Michael Banner, a Florida-based HECM broker, has been on a campaign to popularize HECMs-for-purchase. Via online courses sponsored by his company, AmericanCEInstitute, he has educated 14,000 financial advisors, real estate agents and others in the past five years about the benefits of this strategy. Consider this hypothetical: A 65 year old couple wants to sell a paid-off $500,000 home in the Northeast and move to a $500,000 home in the Southwest. According to Banner, they can put down about $250,000 on the new home and borrow the rest in a reverse mortgage. The result: The couple moves into a new home with equity in the form of a $250,000 down payment (net of closing costs and real estate commissions) from the sale of the departure home. This component is excluded from capital gains tax. The other half of the purchase price is financed with a reverse mortgage, on which the couple has the option but not the requirement to make any payments. Banner told RIJ that when he tells advisors that their clients can move into a new home without having to make mortgage payments and with half of the equity of the previous home available for any purpose they wish, advisors get excited. “When certified financial planners hear this, they say, ‘Whoa. What did you just say?” he told RIJ recently. When the heirs sell the house and settle the HECM, he added, any remaining equity passes to the estate and any accrued interest is deductible, under current law. In an article in the Journal of Financial Planning, Wade Pfau of the American College, whose work in recent years has served as a touchstone for retirement planners, demonstrated the benefit of opening a reverse mortgage line of credit as early as age 62 and then leaving it untapped unless or until it is absolutely necessary. This strategy, as PFau explains, takes advantage of what may or may not be an intended aspect of the HECM law. Under the regulations, a borrower’s HECM-LOC, even if not tapped, starts with the same upper limit as a HECM loan. What’s more, the HECM-LOC’s limit grows at the same rate as a comparable loan balance would grow – currently, at about 4% a year fixed or 2.75% adjustable. Opening a HECM-LOC at the beginning of retirement, paying the closing costs out of pocket and ignoring it unless or until other sources of income failed to provide at least $40,000 in real purchasing power. On the basis of Monte Carlo stimulations, all of these strategies provided a better-than-50% chance that the client would not run out of money if he didn’t live past age 85. But the last option-opening a HECM-LOC early but tapping it last-was the only one that offered a chance of portfolio success greater than 70%, even if the client’s retirement lasted 40 years. The best strategies for maximizing legacy value, however, were those that employed the $17,972-a year tenure payment or the use of the HECM-LOC before tapping personal savings. Retirees can also use reverse mortgages as a hedge against sequence of returns risk. “Sequence risk refers to the rapid depletion of savings that can occur if the retiree has to generate income by selling depressed assets. The risk is considered greater during the five years directly before and after the retirement date. Some advisors handle this risk through a bucketing strategy. They tell retirees to hold a bucket of cash or near-cash large enough so that, during a bear market, they can dip into cash rather than lock in losses by selling stocks. In 2012, Barry Sacks, Harold Evensky and others suggested in articles in the Journal of Financial Planning that a HECM-LOC could be used as a substitute for the cash bucket. The payoff was that the retirees, immunized from sequence risk, could then afford to spend from savings at, for instance, a rate of six percent per year for 30 years, rather than at the proverbially safe rate of 4%, without increasing their risk of running uncomfortably short of money before they died. In their 2012 article, Barry H. Sacks and Stephen R. Sacks published “Reversing the Conventional Wisdom: Using Home Equity to Supplement Retirement Income.” Searching for an answer for retirees who resisted living within an annual budget of 4% of savings but who didn’t want to increase their longevity risk, they suggested that the clients use a reverse mortgage. But instead of using the reverse mortgage as a last resort (if and when the clients ran out of money), or as a first resort (before spending a cent from savings), they suggested that retirees only tap their lines of credit during the years that followed a year of negative returns. Evensky and his co-authors John Salter and Shaun Pfeiffer, also writing in 2012, took a slightly different approach. Unlike the Sackese, they suggested that the retirees apply some of their returns during the profitable years to the HECM-LOC, thereby protecting the equity in their home for their heirs. David Peskin, president of Reverse Mortgage Funding LLC of Bloomfield, NJ, told RIJ that, as it stands today, hundreds of thousands of retirees are opening conventional home equity lines of credit today to supplement their incomes. If they used HECM-LOCs instead, which he claims to be able to set-up for about $1,000, they’d have the option of not making any payments on it. Despite the logic behind these three uses of HECMs, only a small minority of advisors seems to be pursuing them. Peskin said that if he conducts a HECM seminar with 500 advisors, only about 10% request further information. Similarly, Pfau said his columns about HECMs on the Forbes magazine website attract only about a tenth as many vies as his other columns do. Regarding Pfau’s untapped HECM-LOC strategy, he believes that the Department of Housing and Urban Development may eventually change the HECM-LOC rules to preclude a scenario where interest rates have risen, housing prices have fallen, and the upper limit of an untapped HECM-LOC has been allowed to grow for 20 to 30 years. A borrower could use HECM-LOC to bet against the housing market, and engineer his or her own miniature “big short”. At the same time, HECM lenders have little to gain from creating empty HECM-LOCs. Most of them make their money reselling the loans, and an empty HECM-LOC gives them nothing to sell. With our current economic challenges, those of us looking forward to retirement need to be well-informed about our financial needs in coming years. And not only pre-retirees, but individuals already in retirement need to be wise to the changing economic environment. The good news is there are trained professionals who keep abreast of changes in the current economy, changes in laws and changes in government programs for the elderly. Professionals in this field are equipped to handle everything from help with retirement savings accounts, investment advice, and guidance on government programs, estate planning or even new funding options such as reverse mortgage. A little planning prior to retirement will allow you to maintain your current lifestyle; whereas, a lack of planning may require you to live on an extremely tight budget. For those already retired, taking time right now to deal with financial problems instead of waiting for a crisis to happen is well advised. A large number of retired individuals feel that they have planned well for the future only to find that rising medical costs, damage done to investment portfolios (by the current economy) and many other factors have caused them to go into debt. According to an article in USA Today seniors are racking up debt like never before. Elderly individuals who are in debt live with a constant burden over their heads. Most of these people are on fixed incomes and have no way of paying off credit cards and home equity loans that continue to mount to cover household budget deficits. In order to meet ongoing payments, seniors often forego purchasing medications and skimp on food budgets. They live like hermits — never going out and pinching every penny — in order to pay their obligations. Most of these people worked hard their entire lives and managed their debt. They never anticipated the rising costs of prescriptions, expensive medical care or depletion of savings by living too long. The good news is there is help for these individuals. Here are just a few examples of some relief options that could be available. There are many more besides these. Reverse Mortgages – A Home Equity Conversion Mortgages (HECMs), also known as a reverse mortgage, is a risk-free way of tapping into home equity without creating monthly payments and without requiring the money to be paid back during a person’s life time.You do pay your real estate taxes and homeowners insurance. Instead of making payments the cash flow is reversed and the senior receives payments from the bank. Thus the title “reverse mortgage”. For those seniors who are less fortunate financially but own a home, a reverse mortgage can allow them to remain in the home by creating extra funds. Life settlements — A life settlement enables older individuals, businesses and other organizations to sell life insurance policies they currently own – but no longer want or need – for an amount greater than the cash surrender value. In some cases the value can be 2-3 times the cash surrender value. Even some term life insurance policies with a conversion option to permanent coverage can qualify for a life settlement. Government Programs — Some government programs such as food stamps provide temporary financial help for food. Other programs provide subsidized housing, help with medical expenses and provide tax credits. For veterans there is free health care, inexpensive prescriptions and disability income. Area agencies on aging offer individual counseling, legal help and advice with Medicare costs. For some, living on a fixed income and dealing with debt can be an overwhelming burden. There are knowledgeable professionals and debt relief strategies that can assist in easing this burden. The National Care Planning Council keeps a list of financial advisers and attorneys who specialize in this area of planning at http://www.longtermcarelink.net. If you would like information about a reverse mortgage in The Villages, Florida contact our Specialists at IREVERSE. We are dedicated to answering all of your questions and providing the knowledge you need to make decisions for your future. Call 800-486-8786 ext 813.